Malmö, Sweden based Polar Rose is having its coming out party today and pre-announcing a product release slated for early next year. CEO Nikolaj Nyholm gave me demo of what’s coming last weekend. Polar Rose is trying to solve the increasingly important problem of making sense out of photos. Without semantic data, a photo isn’t much use to a computer trying to convert a keyword query into image results. Google created a game to get users to tag photos for them. Flickr and some of its competitors are doing a pretty good job at getting users to tag photos. And of course newcomer Ookles will soon release their own product. But the vast majority of images on the net have little or no semantic data associated with them, and for all practical purposes they are therefore invisible. Polar Rose wants to change that. They won’t be a destination site for photos. Instead, they’ve planned a two pronged approach to winning market share – distribution of a browser plugin for users and freely available APIs for photo sites. 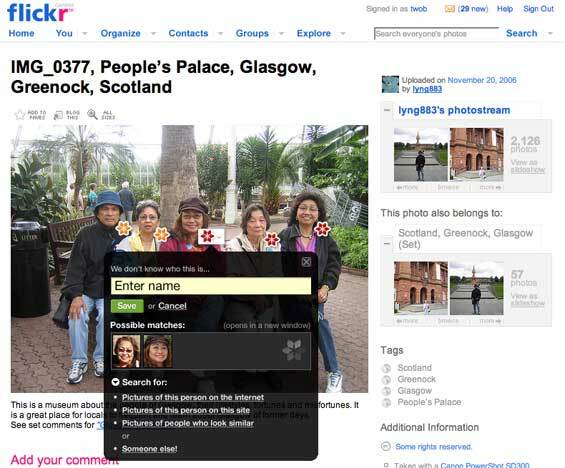 Users of the plugin will be able to add data about any photo on the internet, and search those photos later. Companies integrating the API will get a copy of the data created by users for free. The technology behind Polar Rose creates a virtual 3D image of a person, factoring out lighting and other conditions that can affect recognition. That 3D image is then used to try to guess when a person appears in a photo. The plugin, for example, will provide a link to try to find other images on the Internet of the person being tagged. At first, this data will be very thin. But if and when users adopt the Polar Rose plugin, the search feature could become a useful tool for finding additional pictures of people. Polar Rose announced $5.1 million in Series A funding from Nordic Venture Partners last month.